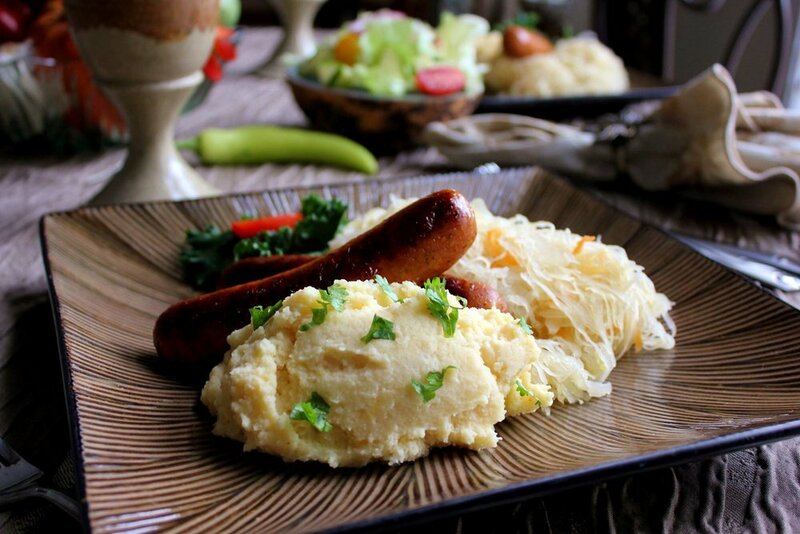 This week specialty Dinner Idea from Smarty Marty is her take on Turkey Sausage and Sauerkraut! This ingredient list will serve 4 and it's approximately 50 mins. Mashed Potatoe was placed on the side with garnishments. Add broth, vinegar and mustard.